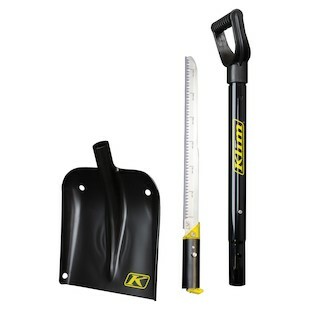 The Klim Back Country Shovel System provides a serious solution for serious survival situations. This fully integrated system is aluminum, has a heavy duty grip, and is extendable for maximum reach and leverage. The shovel also comes complete with a quick access saw blade that has a depth gauge for slide tests or snowpack measurements. The easy-to-carry design gives you quick access to your cutting and digging tools.